Scenario: It’s a pleasant Saturday brunch out with family. While mom is busy feeding toddler Joe his porridge, 5 year old Ben turns to you and starts asking for your iPhone, to which your reply is no, because the dining table is not the place for gadgets. He refuses to accept your answer and starts to wail. The dilemma – give in to the child’s demand, let the child continue making a scene, or discipline him. 1. What advice do you have to give to the parents in the above scenario? It really depends on what the parents have been doing in the past. If playing the smartphone during meal time is something that your child regularly gets to do, this Saturday morning will be no different. You cannot discipline him there and then, it will only confuse the child. Ignoring him will not help, either. If this is the case, then the parents should give in. 2. How do I avoid, or at least reduce the likelihood of my child kicking up a fuss and insisting on having things his way? Once your child is able to understand instruction at 2 or 3 years old, you can begin to tell them things like, “In our family, we don’t scream, we talk properly.” “In our family, we use ‘please’ and ‘thank you’.” So that when anything happens, and if they start to shout at you, “I want this!” You can ask them back, “What are you supposed to say?” The child will know he has to say please and thank you. In the previous scenario, how do we go about resetting the stage? You could start off by telling your child, “From now on, our family have decided that we want to eat together. Eating together means no toys, no phone, we just sit down to eat and talk together.” In your first few rounds, you are bound to meet with resistance. However, in the long run, this will become your new norm, and new stage. Once your rules and expectations are clearly conveyed, you can pose the question back to your child when he or she misbehaves. “What did we agree about meal times?” “Can we play phone during meal times?” It becomes easy to handle such scenarios. It’s also easy for your child to understand. 3. How to go about disciplining a child in public? Inevitably, you will still encounter times where your child goes haywire and throws tantrum. One thing, to keep in mind, discipline has to be something that you consistently do. If you have not done it at home, it will be very difficult to do so outside. At home, I use the same procedures. I pick the child up and bring him to a room. Maintain eye contact and a stern tone. “What did I tell you about sharing your toys?” Have that conversation. There are times when I have to resort to spanking, but all my children recognize that the serious conversation is the last threshold before spanking. They seldom cross that threshold anymore. With consistency, a stern warning or bringing the child to a corner of the restaurant for reprimand will usually be enough to snap them out of misbehavior. 4. What if their grandparents have a different standard? Ideally, have all the main caregivers to be in agreement. When my toddler cries in the car, sometimes my mother will say, “Don’t cry, I give you sweet!” I know that giving the sweet will stop the child’s crying. But the end goal of discipline is about making our children a better person. If it’s just about stopping the crying, then a lot of things will do. You can simply take out a cane or bribe them. However there will be no long term effect, no self-initiative. I’ve explained my concept of discipline to my parents before. In the above scenario, I would tell my mother not to give the sweet. There will still be times when discipline rules are flexed under different caregivers. Help your child relearn what is expected of him whenever he is with you. 5. It is a common believe that one parent has to play the loving role, whilst the other will be the disciplinarian. What do you think of this concept? I don’t agree with that. The husband and wife are to always be in partnership. Not one play the good one, one play the bad one. Having said that, I always say, the one who disciplines the child has to play a bigger part in loving the child. If you want to be the discipline master at home, then you have to be the one who puts in a lot of effort in loving your child. This is to ensure that when your child gets disciplined, he does not receive the idea that he is being rejected, cast aside or not being loved. Such feelings of rejection will trigger more rebellion. Discipline is never about a spur of the moment. Discipline is always about a relationship, a love relationship. In church ministry, our senior pastor always emphasizes bonding first, then building people up. You bond and then you build. I think this is very applicable to parenting. If you want to build your child up, you have to bond with your child first. And bonding comes with more giving. We’ve to bond with our child before we discipline. In today’s society the word discipline tends to have a very negative connotation. But biblical discipline actually means training. The word discipline comes from the word disciple, the one who undergoes training. It is about training your children to fall in line with your standards, not just in outward behavior, but also involves building up their character values. 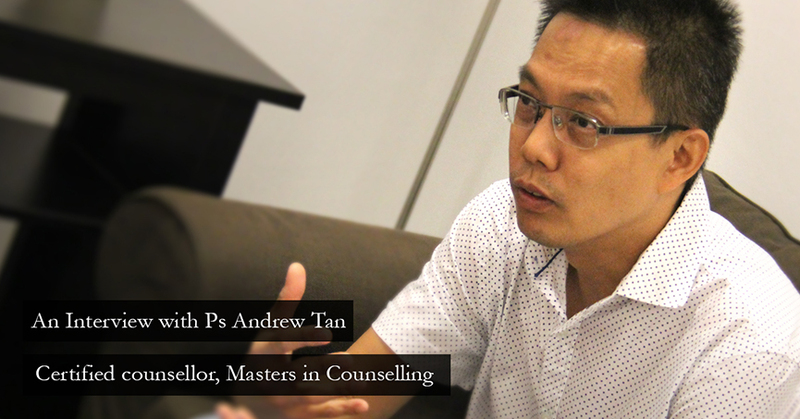 The interviewee, Andrew Tan, is a certified counsellor, father of three and also a pastor in Bethesda (Bedok-Tampines) Church with over 10 years of experience. He heads the church’s Family Ministry and also provides equipping sessions for BCS’s Student Care Centre volunteers. These volunteers will in turn help our Student Care Centre by being parent befrienders during our monthly Parents Connect sessions with the student’s parents. If you are keen to join BCS as a volunteer, do contact us through our sign up page. Bethesda Care & Counselling Services is located at 300 Bedok North Avenue 3. For more information, please visit our website or our Facebook page.